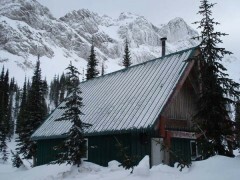 Fernie’s Thunder Meadows hut is somewhat legendary in its own right. 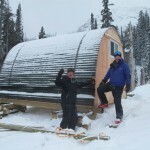 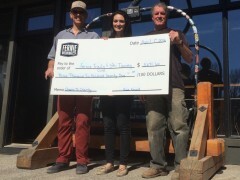 In fact, bringing the idea of the hut to reality is what prompted the formation of the Elk Valley Ski Touring Association, now the Fernie Trails & Ski Touring Club. 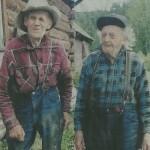 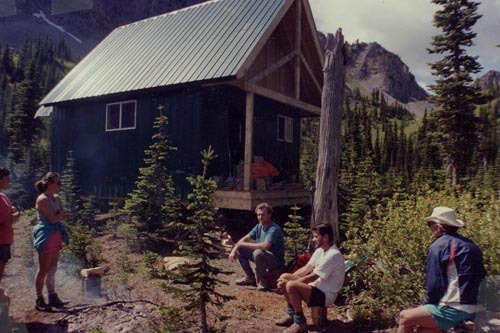 Throughout the 1970s and 1980s, groups of ski tourers regularly crisscrossed the area between Island Lake and (then) Snow Valley Ski Resort in the remote areas of the Lizard Range. 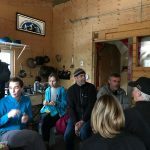 This avid recreational use by a large number of locals and visitors solidified into a plan in the early 1990s to create the current shelter, thereby enhancing the potential for ski touring in the area. 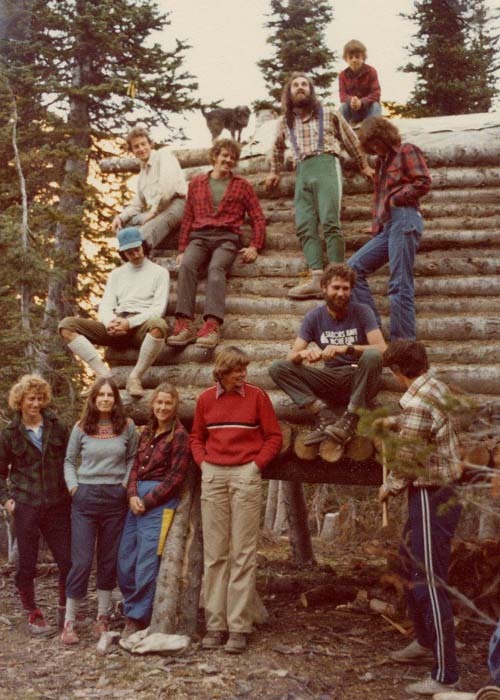 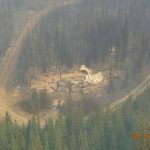 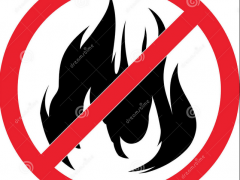 Prior to this, about a dozen locals constructed Thunder Meadows’ first hut in 1978, which burnt down in 1980. 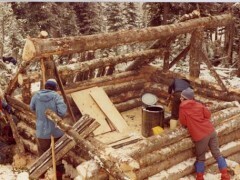 The second temporary hut was built in 1980 and then decommissioned when the newer structure was built. 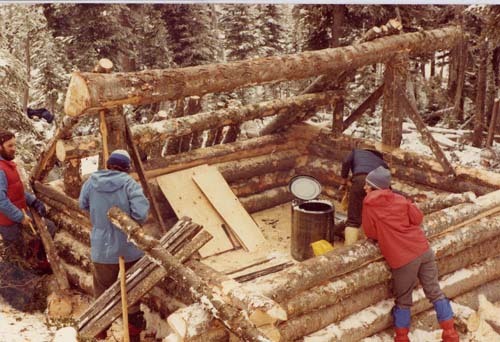 A secondary but equally important motive for constructing the newer hut was was to provide shelter for those who required it in case of sudden extreme weather changes. 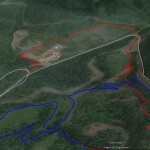 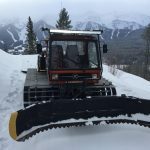 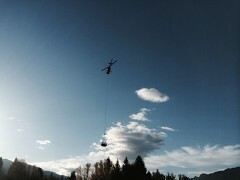 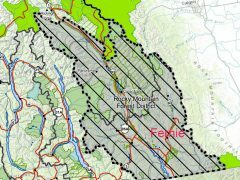 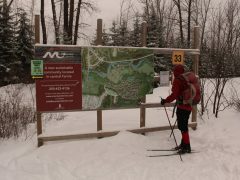 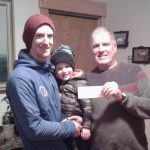 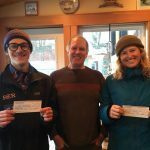 The Elk Valley Ski Touring Association successfully lobbied the provincial government for a Special Use Permit for the Thunder Meadows area. 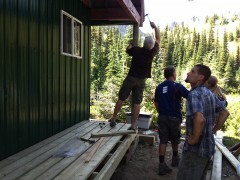 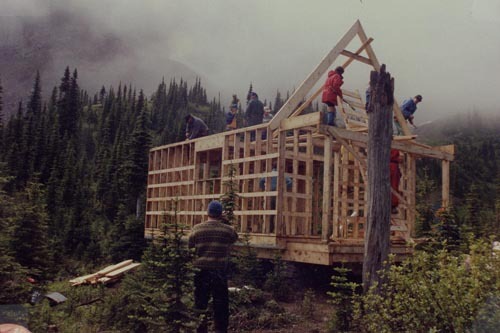 Essentially, this permit granted special usage privileges to the group, and in 1993 EVSTA volunteers built the hut. 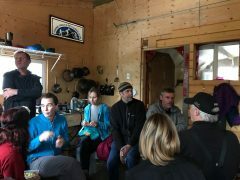 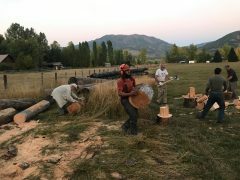 The impetus for applying for the permit, in addition to the construction of the hut, was the recognition on the part of the association that commercial ski operations in the area would gradually expand into traditional public recreation areas. 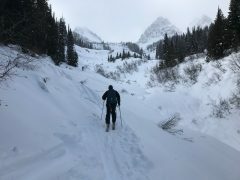 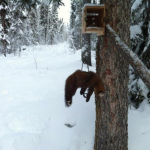 Here are some classic pictures from this year’s adventures at Thunder Meadows and some recently taken images of the great ski terrain. 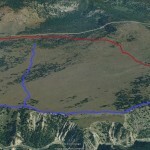 Hiked up to Thunder Meadows on Saturday. 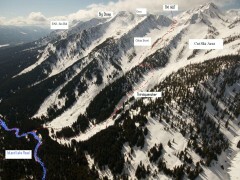 Some tough climbing over the head wall into Thirstquencher Bowl and then the going was good. 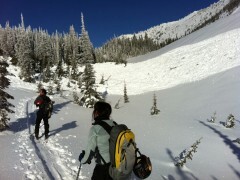 Avalanches had cut down lots of trees in Cabin Bowl and made some nice gladded skiing for some other time. 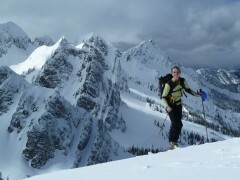 Very hardpack conditions but some good powder skiing in the trees in Orca Bowl on the way home.